← Get Your Furry Friend Beach-Ready With These Summer Pet Products! Is Everything Bigger in Texas? Join Us At IFAI Expo 2018 To Find Out! The IFAI Expo 2018 (Industrial Fabrics Association International) is only 2 months away! Join us in Dallas, Texas for FREE with the show registration code EP187. We hear everything is bigger and better over there, and we can’t wait to see for ourselves if this is true! For the first time ever, Paiho will be in the Advanced Textiles section! 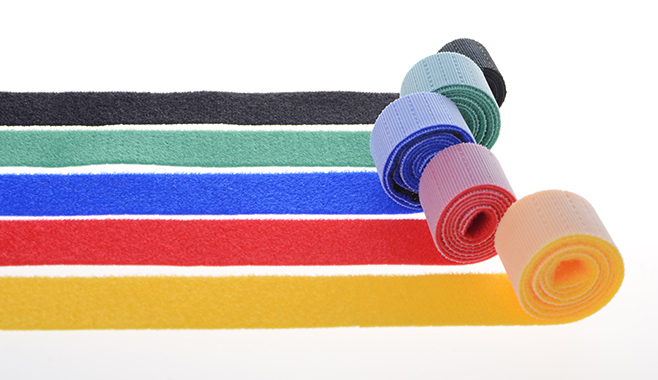 We are so honored and excited to showcase our latest developments in textile technology. Be sure to stop by Booth A2631 to say hello! We look forward to seeing new and old faces at this year’s expo. Click the red “Attendee” button. Create an account with your email and a password or log in to your existing account. Go through the terms & conditions page. On the next page, click “Add Individual” and enter your primary email (for new accounts) or search for your saved account (for existing accounts). On the Contact Information page, enter your Discount Code at the top (EP187). Fill out the rest of your contact information, registration options, and complete your FREE show floor registration or discounted full conference registration. 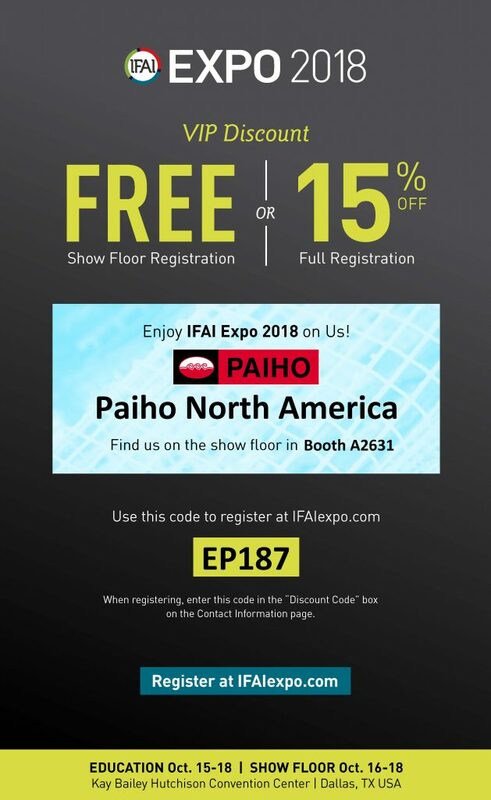 This entry was posted in IFAI, News and tagged Fabric Trade Show, Fall trade show, Free Expo Code, IFAI, IFAI Expo 2018, IFAI Expo Discount Code, IFAI Expo free, Industrial Fabrics Association International. Bookmark the permalink.